Part personal brand, part classic embellishment, a monogram is the perfect way to add a special touch to just about anything. 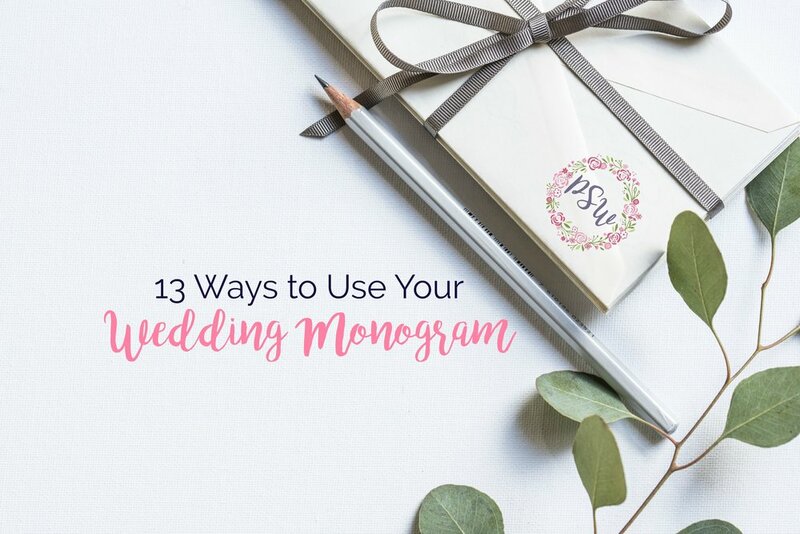 If you're in love with monograms like we are, you're probably looking for ways to incorporate your wedding monogram design into all of the fun things you're buying for your upcoming nuptials. Lucky for you, there are some incredible ways for you to share your monogram with your guests--and we've got the full line-up. (If you're worried about when you should use your maiden monogram versus your married monogram, you'll want to check out this handy dandy guide.) When Reese Witherspoon said, "If it's not moving, monogram it," we took her seriously! Here are our 13 favorite ways to use your wedding monogram design from Instagram worthy shoes to memorable cup favors for your guests. This is where your guests are going to go first for all of the details of your wedding weekend, so add a wedding monogram for a classic touch. Create your free wedding website at eWedding.com, and start personalizing! When you make your grand entrance, all eyes will be on you. Placing a monogram on your veil makes for a perfect focal point as you walk past your guests, and it adds visual interest to your wedding portraits. Definitely a win-win! This is probably the most common place where you find wedding monograms--and for good reason, as it is your guests' first glimpse at what is in store for your event. The style of monogram you use on your wedding invitations can begin to create the right mood for your ceremony and reception. Sturdier than napkins, and just as useful as a koozie, these plastic monogrammed cups double as a favor and an easy way for your guests to grab drinks. 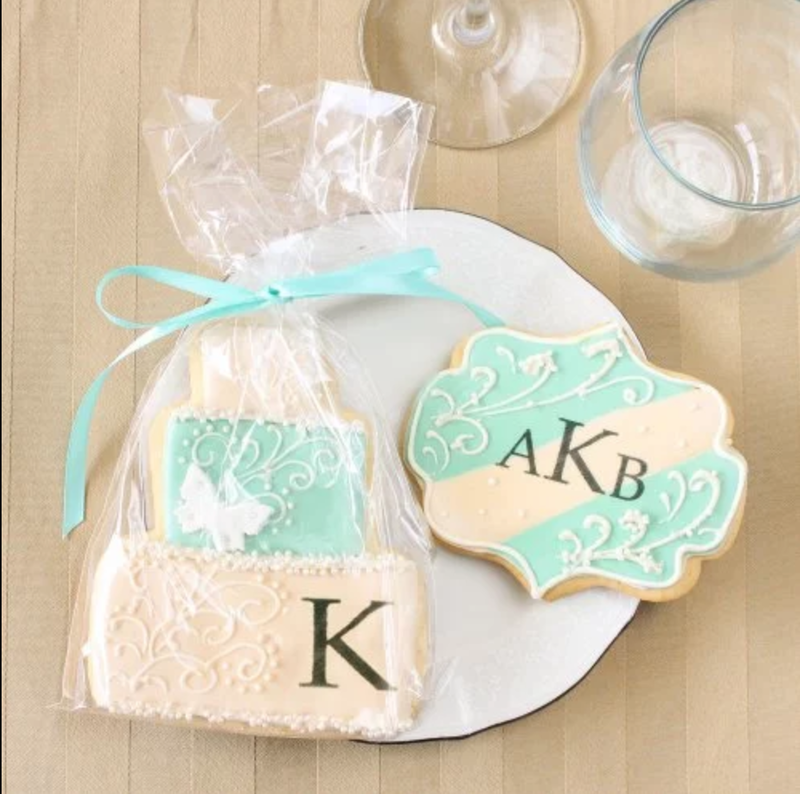 These monograms are unexpected but a welcome addition to your wedding wardrobe! And, the best part about them is that you can use them on your honeymoon and after. Walk towards your future with your new monogram underfoot on your aisle runner. You'll never look at your monogram again without thinking of this sweet moment! Now, this is one monogram that all of your guests will want a bite out of. Pass out these baked goods at your rehearsal dinner or as a sweet treat after dinner at your reception. Tuck a water bottle, a map of the city, and a few snacks into one of these cute bags, and have them waiting for your guests in their hotel rooms for a warm welcome they'll never forget. Scatter these monogrammed koozies all over your rehearsal dinner, reception, or after party. They're always a favorite among guests, so order a few extras! Jazz up the head table with a cute monogrammed table runner or add one to all of the tables for an all-in commitment to your monogram! Metal, paper, and wood: you'll have a tough time choosing which of the monogrammed cake toppers that you like best. Some of the larger one also could double as table decorations, while the smaller paper ones are great for a cupcake display. These cocktail napkins are another fun way to incorporate your initials into your big day. Choose from an assortment of colors and monogram types to create one that matches your wedding's mood and color scheme. Get your groom and groomsmen into the monogram theme with classic cufflinks that make for some fantastic groomsmen's gifts. Which of these wedding monograms are you planning to incorporate into your nuptials? Let us know in the comments!